Promotional value expires 120 days after purchase. Amount paid never expires. Taxes and gratuity not included. Limit 1 per person, may buy 1 additional as gift(s). May be repurchased every 90 days. Limit 1 per visit. Limit 1 per table. Valid only for option purchased. Must provide 18+ ID to receive alcoholic beverages. Not valid with other offers or promotions. Merchant is solely responsible to purchasers for the care and quality of the advertised goods and services. Hot and fresh— that’s what diners can expect at Cast Iron Cafe. That’s because this eatery offers a variety of comfort-food favorites made from fresh, local ingredients. 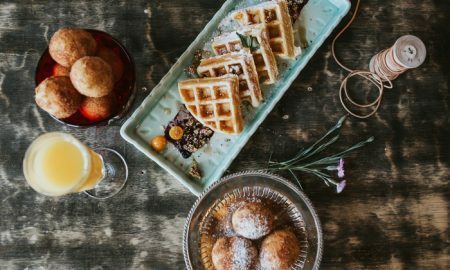 From steak and eggs to chicken pot pie, as well as waffles and cast-iron cornbread muffins, there’s something for everyone at Cast Iron Cafe.